Check Kanban What's New list to keep up with latest updates. 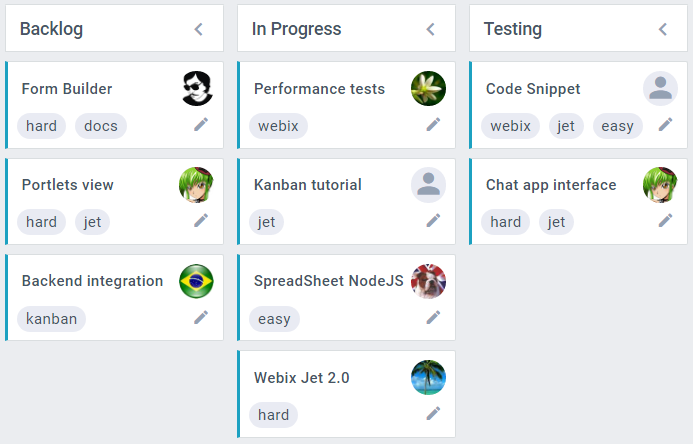 Webix Kanban board is a tool that is intended for viewing work in progress and controlling the flow of work. With this widget, your team will be aware of what each of the members should be working on. Discusses the main points of Kanban Board initialization and customization. Describes possible operations with Kanban Board and its elements.